If your primary computer went ‘down’ – how big of an impact would it have? Could you pay bills? Serve customers? Computers have become a vital part of our daily lives – at home and in business. We often don’t realize it until they’re ‘down’. Like cars, regular maintenance by trained professionals is crucial to keeping your computers secure and running smooth. NEW! We now can support Windows Servers as well as iPads and iPhones! Mac laptop/desktop support is coming soon! See our My ITXpert Brochure for full details and pricing! My ITXpert gets you those trained professionals to maintain your computers – all year long. Plenty of IT shops offer ‘annual contracts’ where you pay a fee for a set amount of support – should you need it. But if you don’t need assistance for a while, what do you get? At IT Xpress we want to ensure you get more for your hard earned money. My ITXpert not only gets you professional support when you need it – you also get year round system tuning and maintenance. It allows you to be proactive, not reactive, by having trained IT Xperts maintain your computers. You’ll see notices like this whenever we improve your PC! We offer three service levels to fit your needs and budget. A complete comparison can be seen below. Get a Windows 8 Start Menu – Hide the tiles! Refer Friends & Family – Save Even More!Tell your friends! For every person you refer to us that signs up for the annual My ITXpert plan, you’ll save $10 on your next renewal! Refer 5 people? Save $50! Just have them mention your name or email us. Our Xperts will routinely review everything that starts up when your computer boots and disable any applications that aren’t needed. We can also delay some applications that are needed, but not immediately so your PC starts faster. Many programs can needlessly add seconds or even minutes to your PC’s boot time. When any application gets added to the ‘Start-Up List’, we’re notified and can review it. This ensures your PC starts up as quickly as possible. Out of date software can expose your computer to dangerous virus infections. We will routinely check your system and push any new updates to it in the background, keeping your system safe and secure. Our technicians can execute a number of routine Windows maintenance tasks to keep your system running smoothly. Any time a program crashes on your computer, our technicians are notified. We can compare the crash ‘signature’ to the PC Genome Database to search for known updates and fixes to prevent future crashes. Browser toolbars rarely serve any purpose other than monitoring your web browsing so they can send the info back to their maintainers. They take up valuable screen space and can slow your system down. We can disable toolbars and keep your browser running at top speed. When you install a program, you may often get additional software installed without even realizing it. Our technicians routinely check your system’s software inventory for malicious applications. If any are found, we can contact you and if it is not used, help you remove it. Anti-Virus software is the most important decision you can make for your computer. My ITXpert Pro and Premier members receive full featured professional versions of the award winning Bitdefender Anti-Virus software. This package has wonnumerous awardsfor it’s level of threat detection as well asit’s small impact on system performance. The SafePay browser is a secure browser that cannot be modified, which can improve the security of your financial information when used for online banking and purchases. Anti-virus programs are designed to prevent and remove viruses. But Malware/Spyware can have a big impact on system performance (and your privacy). So My ITXpert Pro clients receive a paid copy of Malwarebytes PRO, the leading malware removal software – configured to ensure it does not interact or conflict with Bitdefender. The combination of Bitdefender and Malwarebytes provides the ultimate tag-team to keep your computer safe and clean. Malwarebytes monitors every process and stops malicious processes before they even start. The Proactive Protection Module keeps your system safe and secure with advanced heuristic scanning technology. 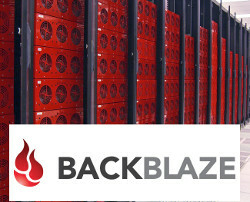 When your data is backed up with BackBlaze, four weeks of file history is saved, so if you make changes to a file and want to ‘revert’ to an older version, you can download it from your backup account!